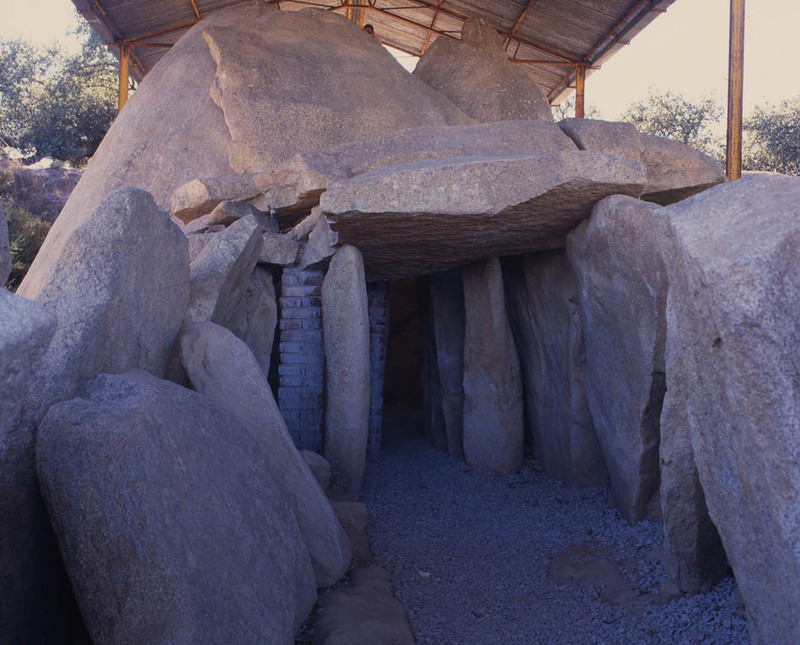 Be surprised by the enormous Anta Grande do Zambujeiro, the biggest dolmen in Europe. Anta Grande do Zambujeiro is the biggest dolmen in Europe. It is located just 13 kilometres to the Southwest of Évora, in the Alentejo, Portugal. This great dolmen is made up by 6-metres-tall stones that create an enormous 50-kilometres-of-diameter wall cavity. It is located under a great metal sheets roof, surrounded by a wonderful field full of wild flowers and brooms. Several archaeologists removed the stone covering it suring the 1960s and they found numerous relics. The great amount are presently exhibited on the Museum of Évora.